≈ Comments Off on Congratulations to our 2011 graduates! 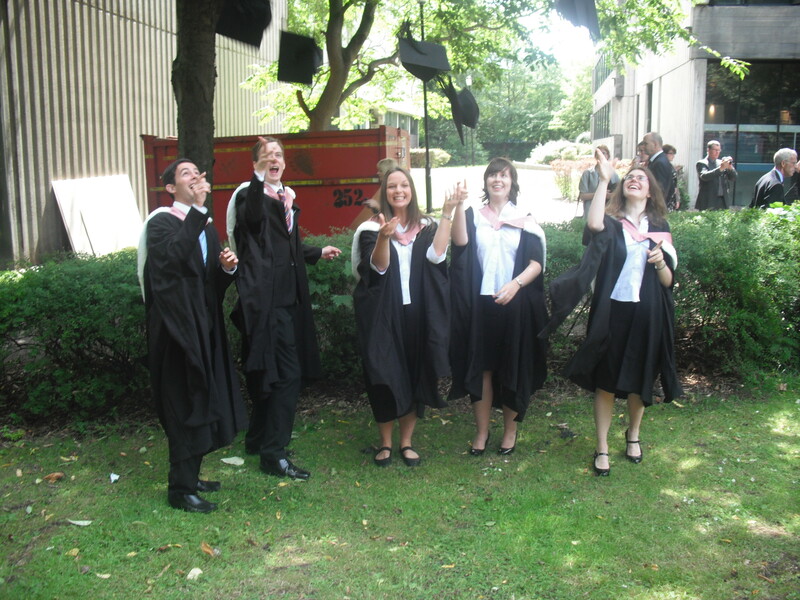 The sun was shining over SOCLAS yesterday as the 2011 finalists and successful PhD candidates received their degrees. The day began with a reception in the Cypress Building for former students and their friends and families, then moved outside for the prize-giving and a speech from Prof Eve Rosenhaft on behalf of the whole School. After raising a glass or two to toast the graduands – and taking plenty of photos in the graduation gowns! – it was on to the Philharmonic Hall for the ceremony itself. Staff and students in full regalia along with invited guests clapped (and occasionally cheered) as degrees were conferred by the Chancellor, Prof Sir David King. For those who couldn’t be there, a webcast of the ceremony will shortly be available on the University of Liverpool website. 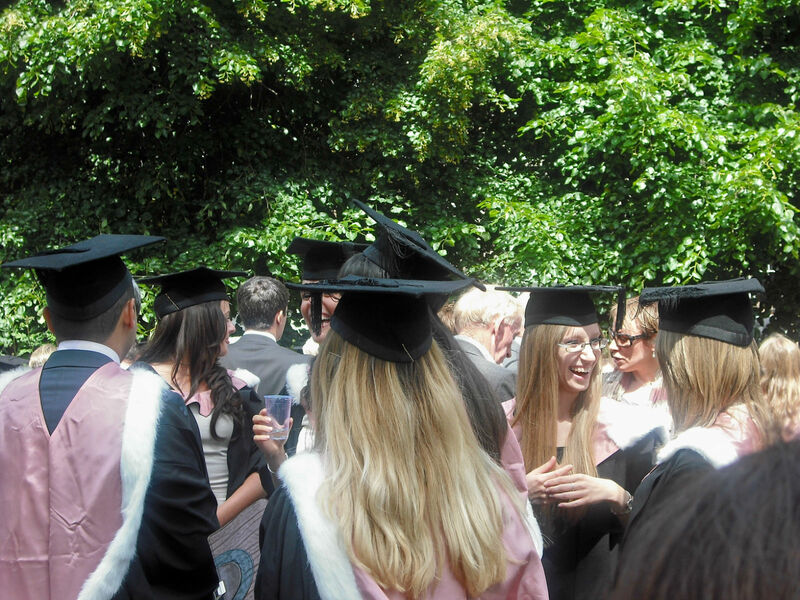 SOCLAS would like to congratulate warmly all those receiving degrees yesterday, whether in person or in absentia, and in particular those receiving PhDs: Dr Silke Betscher, Dr Jim Knight, Dr Richard Millington, Dr Helen Porter, Dr Katinka Weber and Dr Craig Woods. A special mention should also go to the winners of SOCLAS prizes for final year students. These are awarded in each of the areas of the School (French, German, Hispanic, Italian, Combined American Studies, Latin American Studies) as well as for Employability. Prizewinners this year are: Dominic Costa, Nicol Bannin, Samson Harper, Ian Ellison, Amy Stoodley, Craig Leaper, Emily Langston, Chloe Richardson, Corinne Bailey, Elizabeth Burgess, Hannah Armstrong, Daniel Brancato, Georgina Downard, Amy Melson, Louise Marsden, Chelsea Wroe, Elizabeth Robinson, Paul Kane, Nicole Young, Jessica Coney, Gerry McAuley, and James Baxter. Thanks to all the staff who made this such a friendly and memorable occasion, to families and friends who turned out to support the students, and goodbye and good luck to all our 2011 graduates! 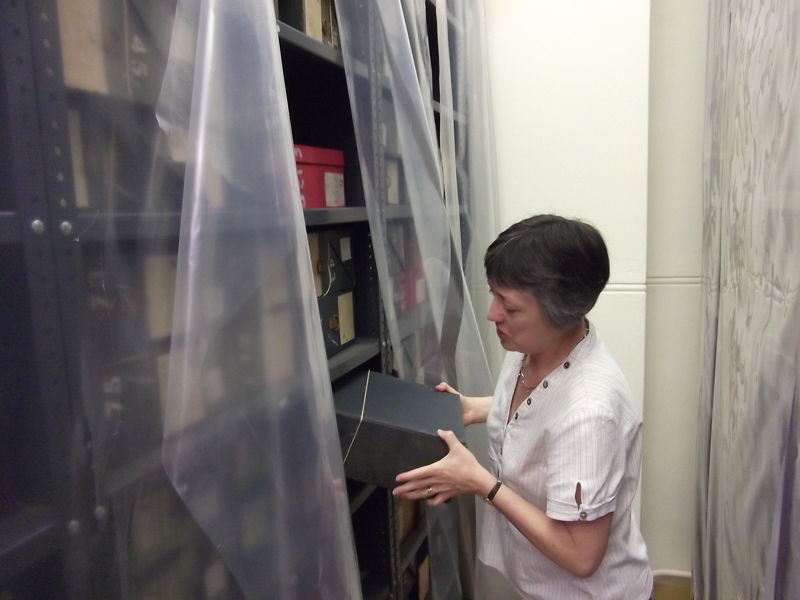 SOCLAS researcher Dr Kay Chadwick (French) has been investigating a little-known and under-used archive, based at the Imperial War Museum’s Duxford site, near Cambridge. Duxford is principally Europe’s premier aviation museum, but a distant building on the former airbase part of the site holds a precious resource stored in several thousand boxes: the BBC’s monitoring reports of foreign radio from 1939-74. 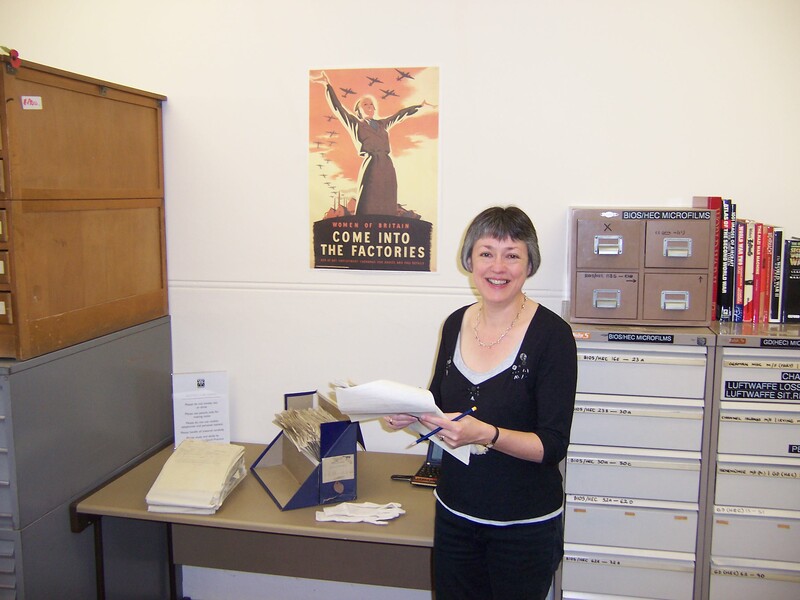 Dr Chadwick’s current research programme focuses on French-language radio during the Second World War, and the Duxford archive is a goldmine, complementing the holdings of the BBC’s Written Archives Centre at Caversham, near Reading, where she has also worked regularly in the past. ‘Duxford has a unique and valuable set of materials’, she explains. ‘Nowhere in France holds the same extensive and continuous archive of documents relating to German-controlled Radio Paris, the Vichy home service, or Radio France in Algiers. The sheer scale of the work undertaken by the BBC teams who were carrying out the monitoring process is hugely impressive’. 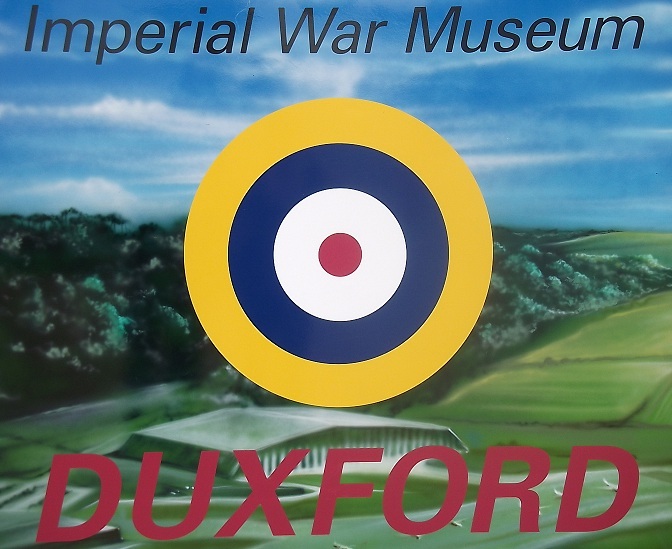 Dr Chadwick expects that her exploratory visit to Duxford will lead to the development of a number of research ventures to complement her most recent project on French wartime radio. Supported by funding from the British Academy and the award of an AHRC Fellowship, this project resulted in the first-ever critical edition of the 272 surviving editorials broadcast on Radio Vichy by Philippe Henriot, Secretary of State for Information and Propaganda for the collaborationist Vichy regime from January to June 1944, due for publication later in 2011 as Philippe Henriot and the Last Act of Vichy: Radio Broadcasts, January – June 1944. ‘Access to material such as wartime propaganda broadcasts is notoriously difficult to come by’, Dr Chadwick continues, ‘and it is vital that such rare and fragile materials are transformed into permanent public documents which are made available to researchers and students. That principle was a major impetus for my edition of Henriot’s broadcasts, and the Duxford archive offers similar opportunities for equally important work.’ The preservation of the overall archive is currently under discussion by the Imperial War Museum, a process to which Dr Chadwick has been invited to contribute. You can read more about Dr Chadwick’s research project in French Historical Studies, French History journal, the BBC History Magazine (full text of these articles is available for subscribers only); and listen to a podcast of an interview on the subject. Congratulations to final-year students, Daniel Brancato and Paul Kane, who have been awarded first and second prize, respectively, in the Anglo-Brazilian Society’s annual undergraduate essay competition! Paul also intends to put his £250 prize money towards his first trip to Brazil this summer. “It was a great privilege to be able to spend two months in Berlin recently, deepening and extending the context of my research on the representation of Berlin in English language texts through genre, space and memory. 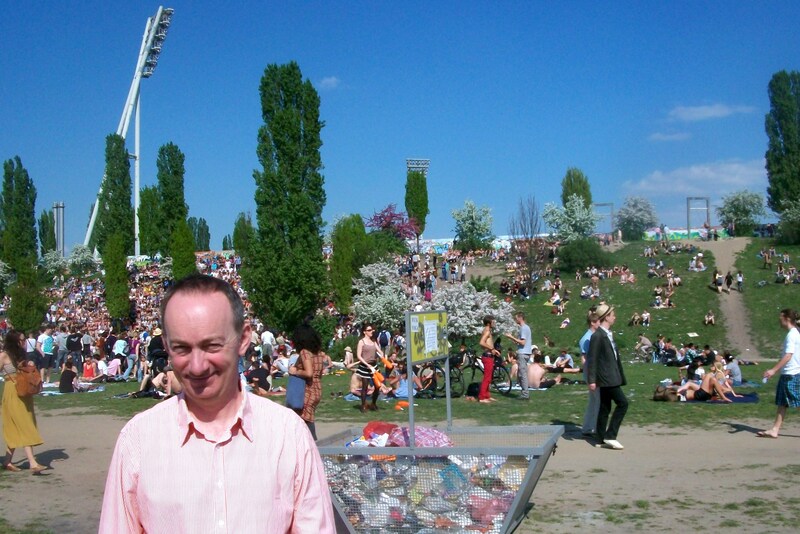 I proceeded to embark on a busy five-point programme which included: (1) library research; (2) documenting of locations; (3) attendance at academic conferences and lectures; (4) visits to Second World War and divided Berlin museums and memorial sites; (5) attendance at readings, presentations and performances. My visit oscillated between trendy Prenzlauer Berg, where I lived close to the centre of the city, and leafy Dahlem where, thanks to Professor Russell West-Pavlov of the Freie Universität, I was able to base myself in the spaceship postmodernity of the Norman Foster-designed library. Unexpected highlights of my visit were a series of lectures on the historical novel, a postgraduate conference on ‘Traumatic Literatures’ at the Humboldt Universität and a day-long Tagung at Bertolt Brecht’s former house on an intriguingly local yet seemingly out-of-print Berlin author, Klaus Schlesinger. Spaces of note: the Brandenburg region around Berlin is the city’s undiscovered country and a trip to Jüterbog revealed a town which is historic and quiet, complementing its portrayal in Hugo Hamilton’s novel, Disguise. 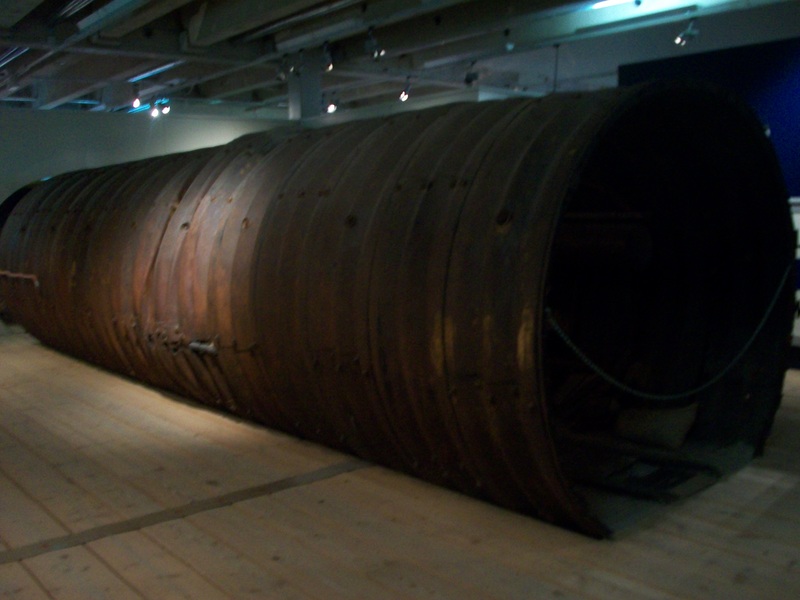 In the Allied Museum in Zehlendorf I was particularly enthralled to see a piece of the espionage tunnel which is integral to the plot of Ian McEwan’s The Innocent. 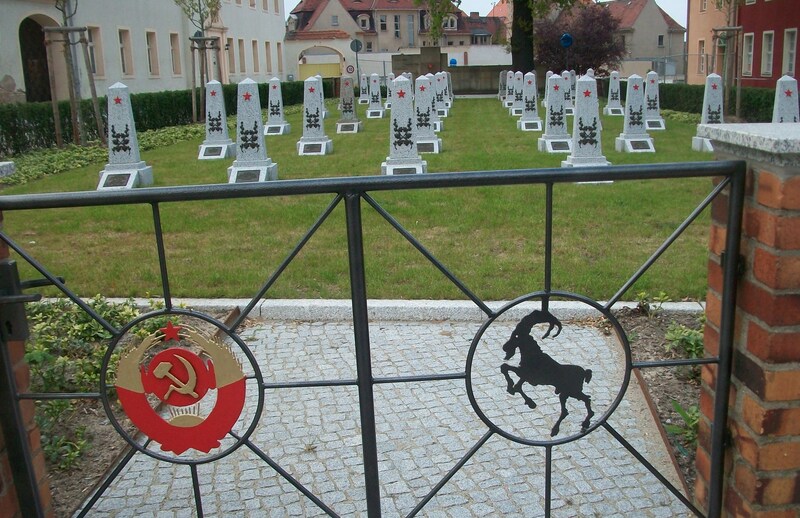 I also recall a sombre afternoon in the Jewish cemetery at Weissensee: the biggest in Europe, filled with the ghosts of the city that was wiped out.